The April 10 Greater Houston TeenBookCon proved that "yes indeed, Houston can put on some great events," said Cathy Berner. As the events coordinator and children's/young adult specialist at Blue Willow Bookshop, Berner was one of the festival's organizers. The Association of Booksellers for Children has released a rundown of programming for children's booksellers at next month's BookExpo America. Offerings include everything from educational sessions on serving the tween reader and the nuts and bolts of kids' bookselling, presented in conjunction with ABA's Day of Education on Tuesday, May 25, to some very special author events and ABC's annual Silent Auction. Independent booksellers have long been known for their handselling skills. Candlewick Press plans to encourage booksellers to use those skills through the new Candlewick's Handselling Indie Recognition Program (CHIRP). The Spring 2010 Kids' Indie Next List can now be seen in preview online. The four-page, full-color flier will be arriving at indie bookstores in the upcoming Children's White Box. The number-one indie title recommendations for kids for winter 2001 through 2009 are now featured in an attractive downloadable PDF flier. The Winter 2009/2010 Kids' Indie Next List can now be seen in preview online. The four-page, full-color flier will be arriving at indie bookstores in the upcoming quarterly Children's White Box. In a strategic move that will increase its 2009 catalog circulation by 75 percent, the Association of Booksellers for Children is distributing a quantity of its 2009 Best Books for Children catalog to all of the ABA member stores receiving the Winter Children's White Box mailing this month. This is in addition to the 260 ABC members that already receive the catalog. The Women's National Book Association (WNBA) is seeking nominations for the 2010 Pannell Awards, honoring bookstores in the U.S. that excel at inspiring interest in reading and creatively bringing books and young people together. A new season of insightful indie booksellers' recommendations for the next great reads in children's and young adult titles -- featured in a four-page list with a bold, bright, and fun design -- will be arriving soon in bookstores in the Summer 2009 Kids' Next List. 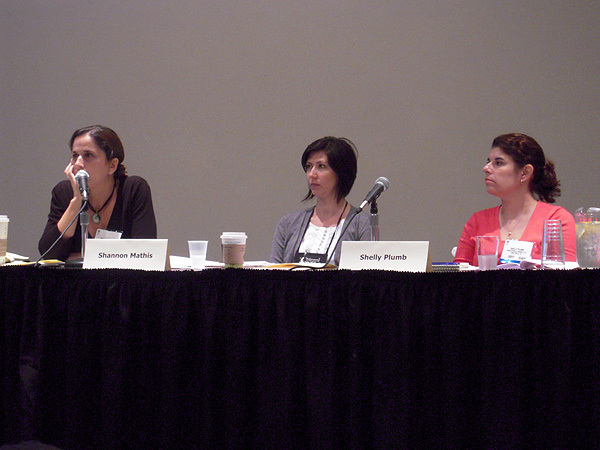 BTW asked ABC Executive Director Kristen McLean to share her thoughts on some of the highlights of programming for children's booksellers at BEA. 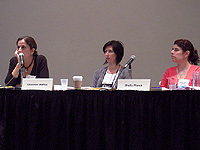 I'm actually very excited about some of the changes and additions to our children's programming this year at BEA. The Women's National Book Association has announced the winners of the 2009 WNBA Pannell Awards, given annually since 1983, to two bookstores that excel in contributing to their communities in ways that bring books and young people together.